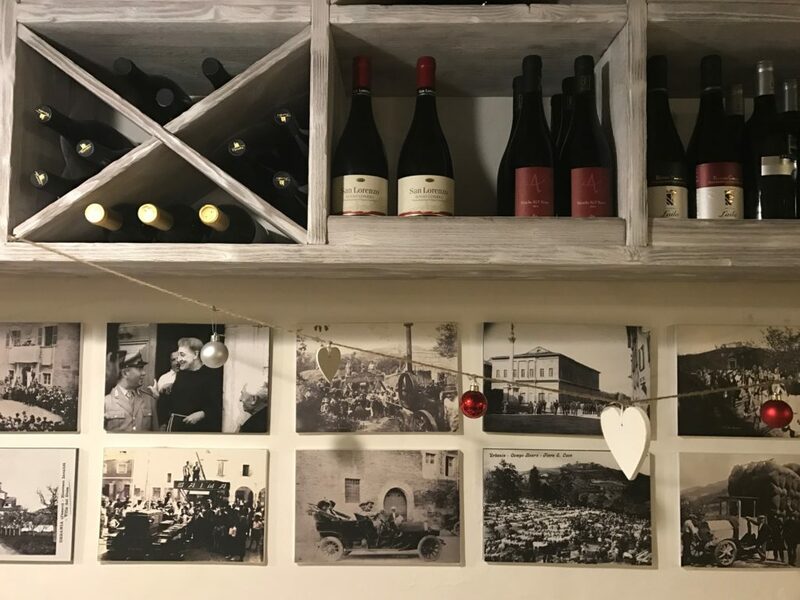 This evening I arrived in Urbania exhausted at approximately 7:00 p.m., after a 6-hour drive from Cortina d’Ampezzo and a sleepless night due to a mixture of jet lag and the needs of my 3-month-old son. 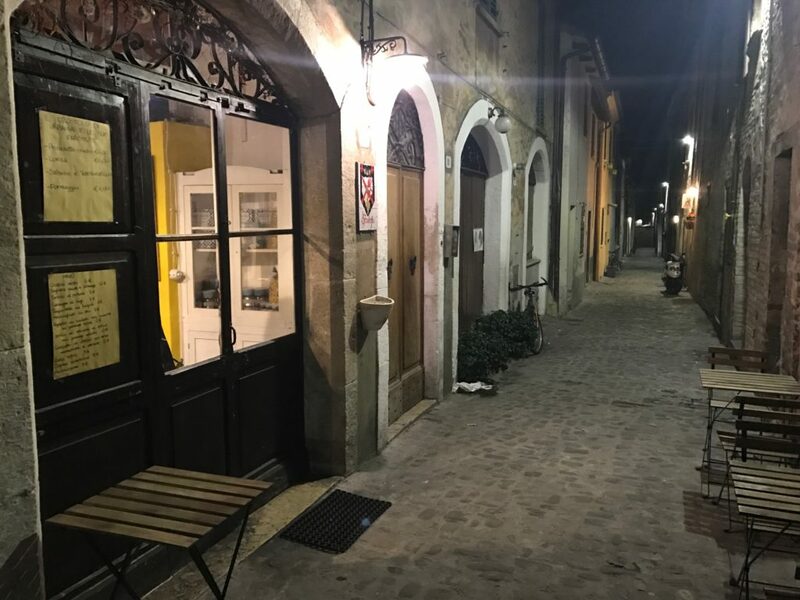 Despite my exhaustion, my very first inquiry to the hotel manager at Parco Ducale was whether there was a traditional restaurant nearby, offering dishes typical to the small town of Urbania. 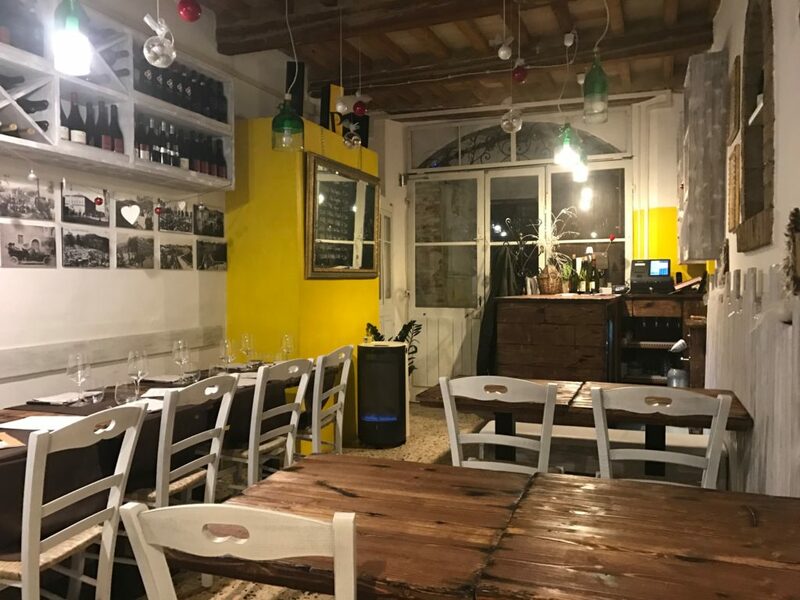 Wherever I go in Italy, and whatever condition I may be in, having a memorable dinner experience is paramount, and being that there seem to be as many cultures in Italy as there are moments in time, the diversity of the Italian cuisine never disappoints. 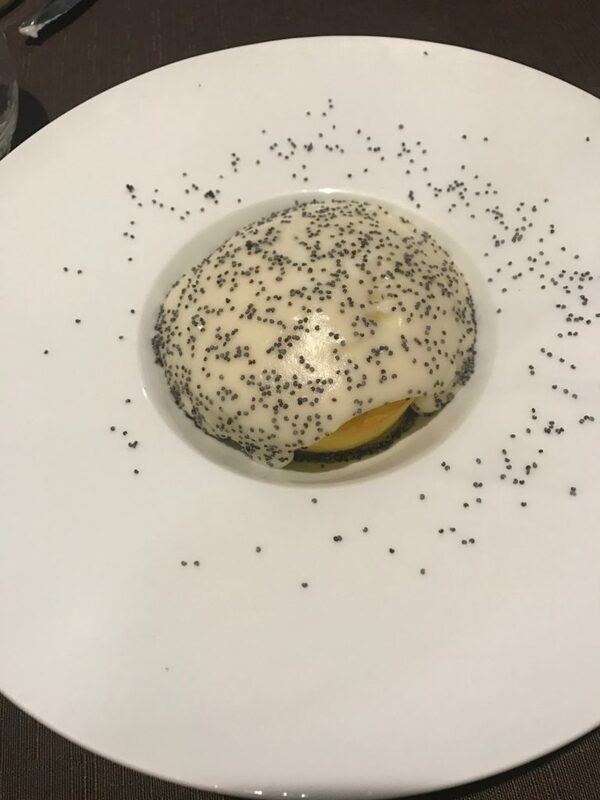 In Cortina d’Ampezzo, as I learned earlier this week, Casunziei all’Ampezzana is the traditional pasta of the region, which is a type of ravioli filled with a beet and poppy seed mixture. For the main course, venison goulashes served over polenta are popular. But what about in Urbania? I couldn’t wait to find out. At the recommendation of my hotel, I arrived at La Braverja Osteria just in time for dinner at about 8:30 p.m. I was greeted by the chef, Daniele Forlucci, and the daughter of his business partner who acts as a waitress/hostess. The interior of the restaurant is small, humble and personal, just how I prefer. 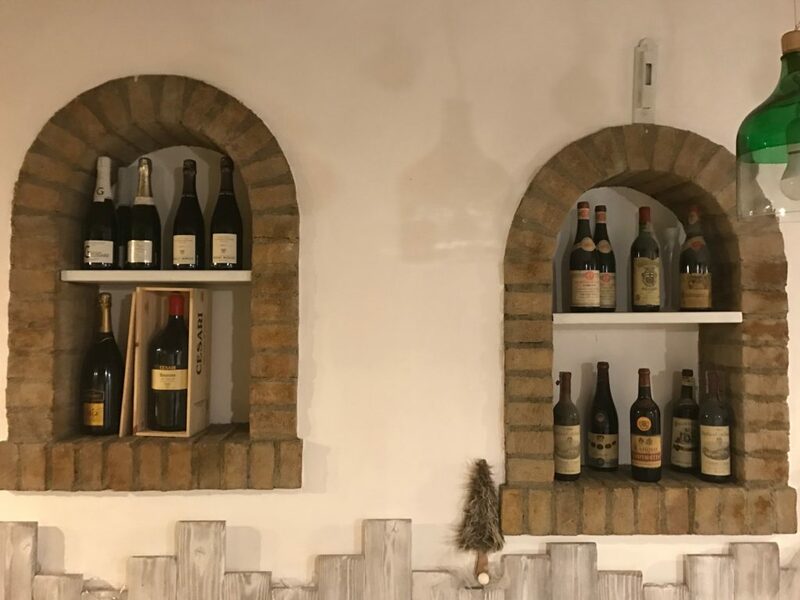 According to Daniele, one of the area’s traditional wines is a Sangiovese wine from the neighboring town of Fano. I ordered a bottle called, Le Vigne Delle Terrazze by the winemaker, Claudio Morelli (www.claudiomorelli.it), and I thoroughly enjoyed it. 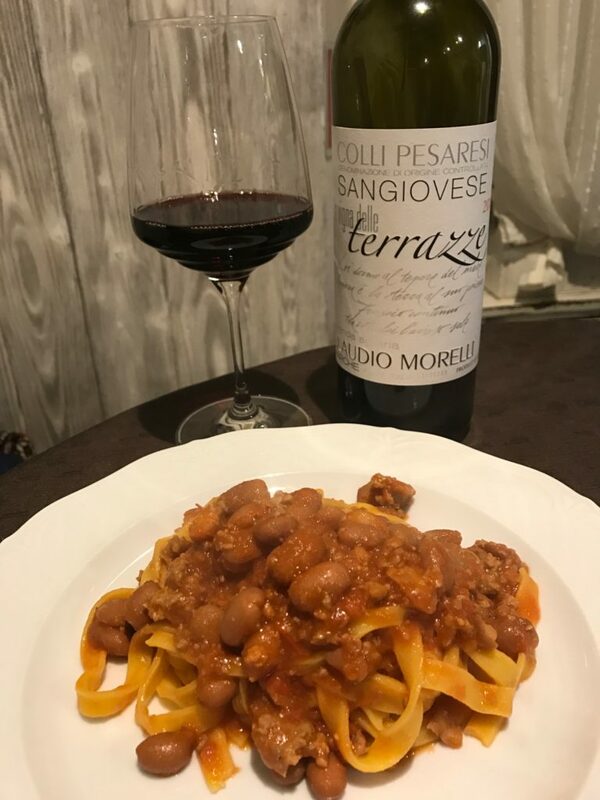 For the first course, I ordered the traditional pasta of Urbania called, tagliatelle caserecce con sugo di fagioli borlotti (basically tagliatelle pasta with fagioli). 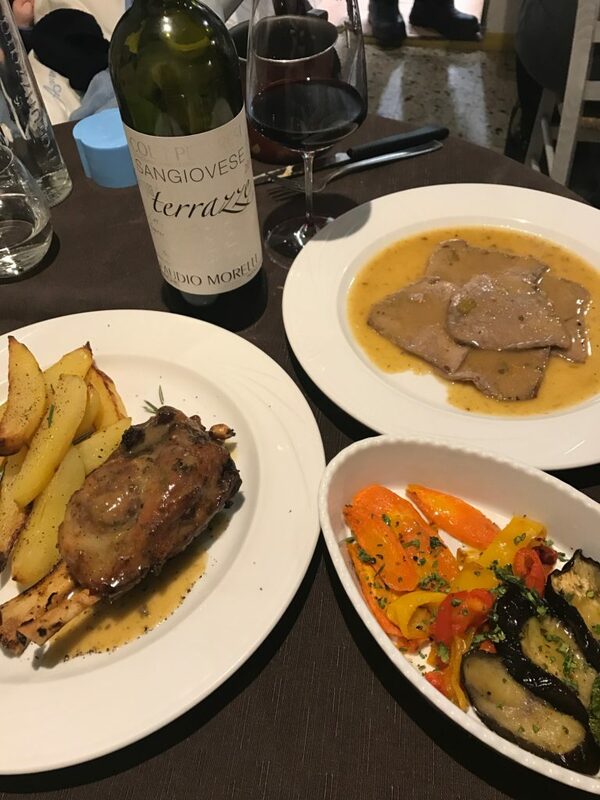 For the main course, I ordered a pork roast (stinco di maiale al forno con patate arrosto), and my wife ordered veal (cosciotto di vitello al forno con verdure alla griglia). Both, as Daniele explained, are traditional main courses of Urbania. 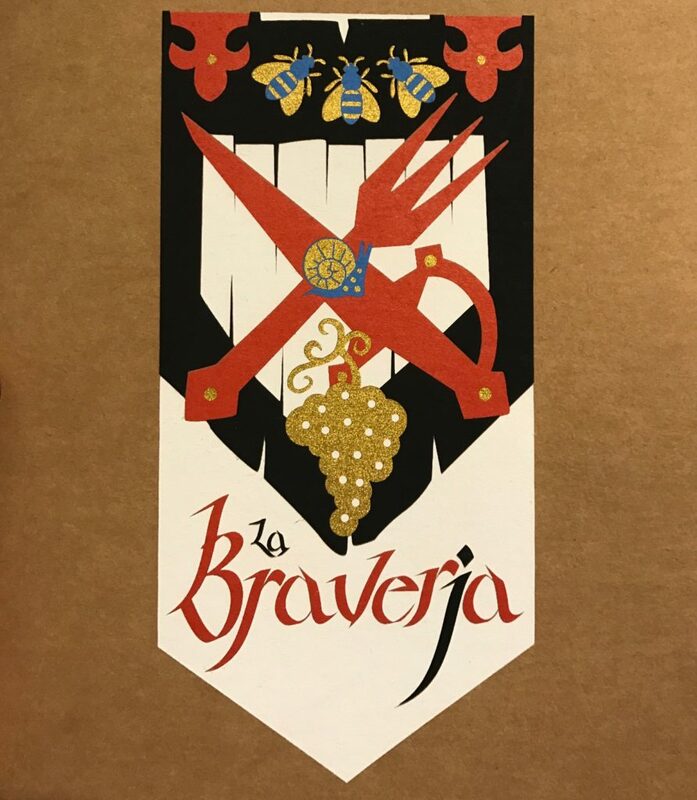 My wife and I immensely enjoyed the food and wine at La Braverja, making our first evening in Urbania a positive one. Aside from the food, I had the opportunity to speak with Daniele and learn some interesting facts about Urbania. 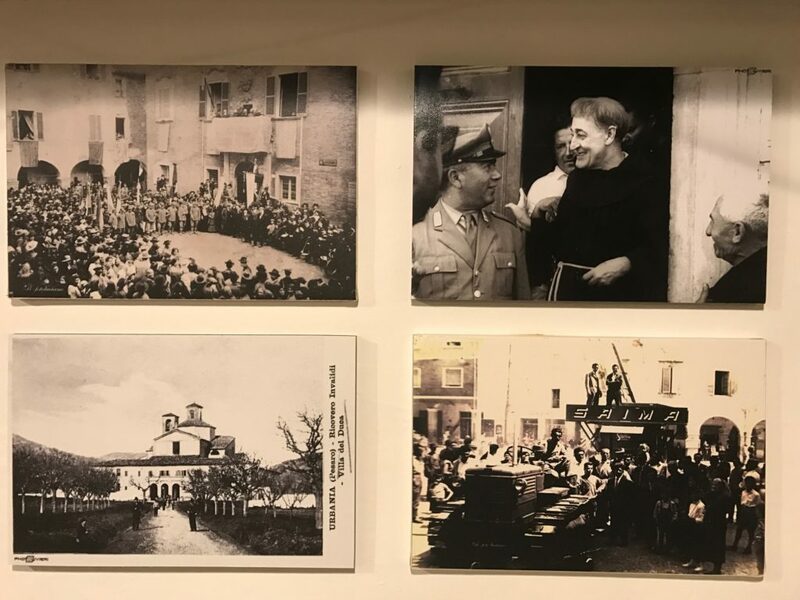 There are old black & white photos on the walls and when I inquired, Daniele explained that they are all local photographs of life in Urbania prior to the second world war, and “before the United States accidentally bombed Urbania”. I did some brief research online to confirm that the United States accidentally bombed Urbania during World War II, but I could not find anything specifically on the subject. Nevertheless, I found this piece of history to be interesting. 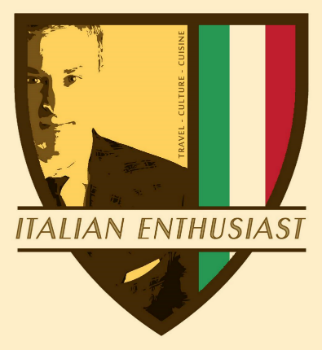 Additionally, as a follow up to my blog post titled “Stereotypes of Italians in the Minds of Italians (http://italianenthusiast.com/the-stereotypes-of-italians), I asked Daniele the history behind the saying, meglio un morto in casa che un marchigiano dietro la porta (it is better to have a dead person inside the home than have a person from Marche at the front door). He laughed and explained that long ago, the people from Marche used to collect taxes for the Pope, and ever since then, people from his region developed a bad reputation for being tax collectors. 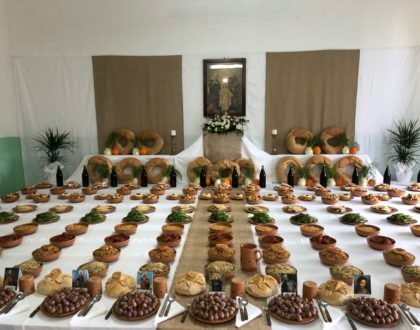 This is why no one ever wanted to see people from Marche (or Marchigiani) at their front door. 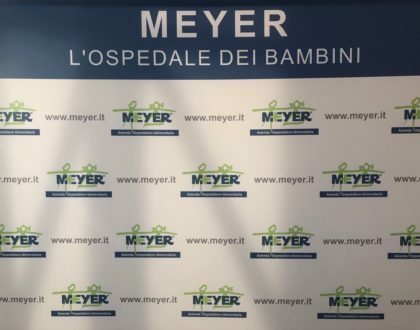 Lastly, when I told Daniele that I was in Urbania for the La Befana festival, he informed me that while Urbania is known for La Befana, it is even more known for the ceramics. As such, I will be sure to check out some nice ceramics before I had back to Florence in a couple days. 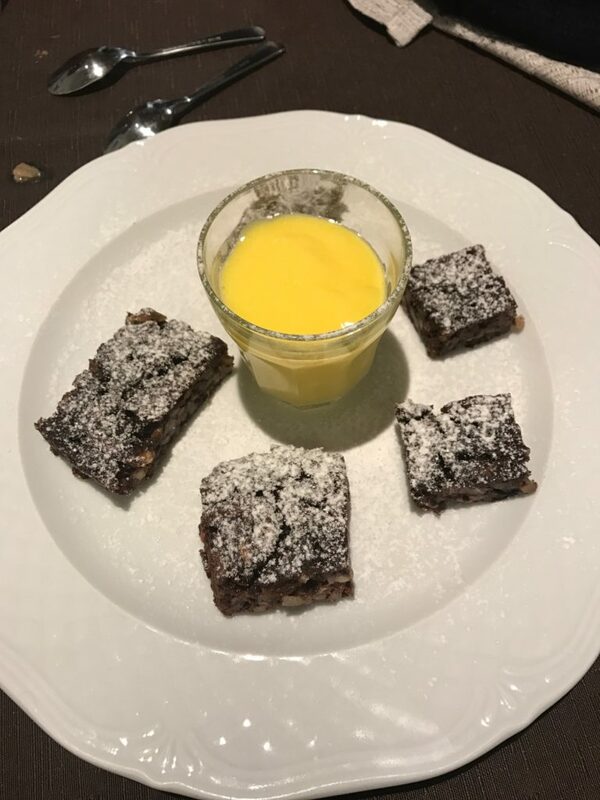 Over all, when I dine in Italy, not only do I seek only the best and most traditional dishes of the region, but also I desire personal settings where I can speak and learn from the restaurant staff. The staff at La Braverja Osteria was friendly and accommodating, and the food and wine delicious. 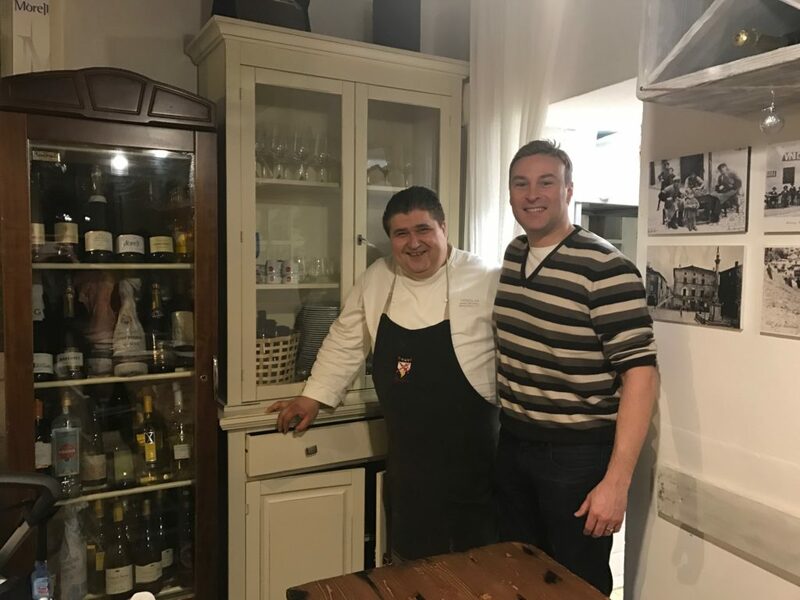 Thank you, Daniele, for a fantastic dinner experience in Urbania! Tortino di Patate Rosse con Fonduta di Casciotta d'Urbino e Semi di Papavero. This appetizer is made from a local potato, but it has a texture like creamy polenta. It was delicious.